An impressive selection of virtual reality companies caught our eye at TechCrunch Disrupt in London. December marked the second annual London based TechCrunch Disrupt event. Online tech news giant techCrunch.com launched Disrupt in 2011 as a platform for young start-ups to present their products and services, competing for prize money and publicity in front of a room of hungry venture capitalists. Satirized in HBO’s first season of Silicon Valley, Disrupt has become a staple in the world of technology and one of the best resources for scouting new talent. This year proved no different, serving up an impressive selection of virtual reality companies that caught our eye. Below are our favorites. Nozon, the company that created Presenz, has been in the 3D animation game for a long time. Founded in 1998 they are a post production house that specializes in immersive CG movies. Having worked with much of the existing CG technology, they noticed a big gap in the market for interactive parallax and room scale tracking in CG movies. One of the largest issues with currently available VR technology is what has been dubbed “Cyber Sickness,” akin to motion sickness caused by the depth of field and constant head-turning inevitable with VR. Salome remarked, “When you shift your head to see behind an object the perspective doesn't change. This quickly breaks the immersion and brings discomfort and even cyber sickness.” In order to combat this common side effect, they have created a shifting field of vision, or as they describe it, interactive parallax, which enables the user to see objects from a full 360-degree range without feeling sick. The technology is currently being used for short VR experiences like marketing events, showrooms, and amusement park rides, and they are planning to expand into feature films and documentaries in the future. While the technology is advancing quickly, some limitations still remain. Timing of content is a particularly difficult one for filmmakers to address, as it is slightly unpleasant for the user to wear a VR headset for more than 10 minutes at a time. Another limitation, which may be solved in the future, is that currently the technology can only be applied to CG movies and cannot yet be integrated with human motion capture. 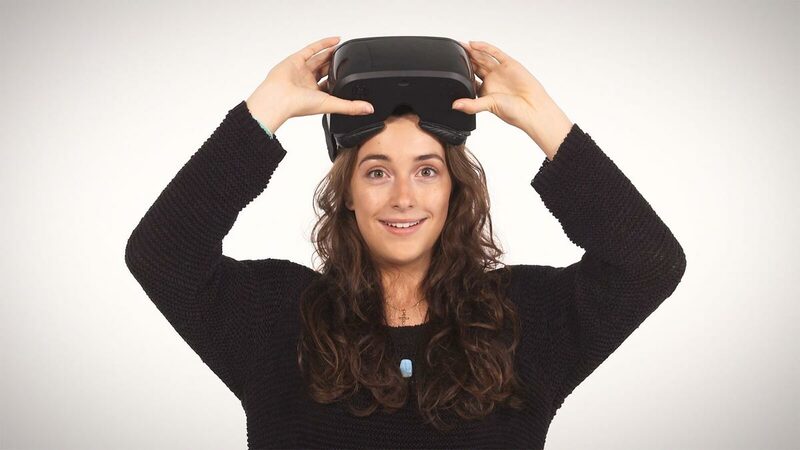 Breaking Fourth is a production company that creates original virtual reality plays. They use a combination of live-action motion capture and CGI to create the fantasy worlds their plays are based on. Playwrights and directors can now apply their talents to fully immersive CGI worlds for the first time. The first play is called Checkmate, which will be released in early 2016. In the show, players are dropped into a first-person shooter online tournament. The user acts as the audience in a large stadium as players compete to survive time-trials. The user will also be able to explore the environment at his or her own pace, following specific characters or exploring areas at whim. This draws on similar trends in immersive theater production started by companies like Punchdrunk, Third Rail Projects, and dreamthinkspeak. These companies offer live action events that have been a huge draw for audiences internationally. Still, it remains to be seen if virtual reality plays will have the same pull for the viewer. On the hardware side, AuraVisor, is a virtual reality head mounted computer (HMC) that works without a computer or smartphone. It is free from the clutter of wires and the hassle of interchanging a smart phone. AuraVisor has an on-board Android based computer that allows you to experience the immersion of virtual reality without breaking the budget. In terms of function, AuraVisor's content can be accessed by both Wi-Fi and Bluetooth. Simply turn on, download and immerse yourself in whatever activity you like. You can watch movies in a realistic immersive environment and also enjoy 360-degree content that you’ve filmed yourself. You can download content including games, videos and apps from the VR store, linked to the Google Play Store. We had a chance to demo this at Disrupt, and while the full volume of content wasn’t available, the graphics were excellent and the wireless aspect greatly improved the immersive experience. It is yet to be seen if the wireless experience is enough to differentiate it from the pack. AuraVisor is currently available to preorder on Indiegogo. Taking a step back from the entertainment industry for a moment, Spanish based Neurodigital Technologies works with virtual reality to help improve the quality of life for the user. Similar to the work that is being done by Jeremy Bailenson at Stanford’s Virtual Human Interaction Lab, Neurodigital Technologies takes a more humanistic approach to the VR industry. This ranges from psychical and visual rehabilitation to cognitive behavior therapy. Their products include Gloveone, which is described as, “A new representation of a parallel world that adds the possibility of touching all the elements we see inside the virtual world, from the caress of a petal to the impact of a baseball.” By incorporating the user’s sense of touch into the field of extended virtual reality it makes the experience fully immersive. In their demo the user wearing a glove attempts to pick up small balls that are rolling around. It feels surprisingly realistic and is reminiscent to squeezing a stress ball. This shows promise to be used as an effective rehabilitation tool. The labs focus is on health but they are confident the technology can be used for entertainment as well. On the cognitive rehabilitation side, their product Snoezelen VR “is a new concept of multi sensory therapy applied to the treatment of neurological disorders and psychological problems.” This technology enables them to create custom experience for each user to target specific mental and psychological issues. Working with scientists and psychiatrists, personalized content can then tackle individual issues. Looking at the VR companies presented at Disrupt alone it is clear the technology is advancing rapidly. In terms of entertainment applications, the gaming and art industries will most likely be the first to adopt in large scale. This is mostly due to the time limitations that the technology currently holds. While it would be fascinating to make a feature film using VR technology there are still a few key problems that stand in the way. The viewer’s discomfort and potential cyber sickness induced by a 90- minute film is the biggest obstacle at this point. Another issue is the possibility that the viewer might miss key events if they are given too much roaming freedom. And with this the question of artistic direction comes into play: if the viewer is given too much choice in terms of plot or character development, when does a film cease to be a director’s vision? While it remains hard to predict exactly how VR will manifest, it is clear that filmmakers of all ages are growing increasingly attracted to this engaging new technology.